Abu Dhabi is the capital of UAE, majority of the work force in the UAE are foreign expatriates – hence the country’s population makeup is very diverse, with Emirati citizens being a minority in their own country. Migrant workers from the Indian Subcontinent and the Philippines are mostly employed in the service and construction industries and their salaries comes in the categories of low wage as many of them are not well educated but they pay is still good if they compare it with their own home countries. Many mid-level jobs are filled by Arabs from other countries, and many high-skilled and management positions were filled by highly qualified or experienced expatriates who typically enjoy a very good standard of living. Those who are interested in working in the UAE there are endless opportunities for them in oil and gas refineries, banking sector, engineering industry and education or teaching sector as well. The public schools in Abu Dhabi are hiring a large number of English-language teachers from Western countries again creating new jobs in UAE for teachers. Provides all the economic and social benefits to the people. Understands the importance of resident’s safety, security and also a cosmopolitan lifestyle. The generosity and hospitality of Emiratis have also played a crucial role and made the government’s mission of making the country a global destination for tourists even easier. We all have faced a job hunt situation where nothing seems to work, try these simple tips to secure a job. Creating your own resume often sounds a difficult task whereas there are professional agencies or consultants who design an unique CV or resume, or take your time and go through various websites that give tips on making CV. Linking with the professional account helps the recruiter in getting more information about the candidate. Registering on various job portals like Gulf Salary, Monster Gulf and Naukri Gulf etc. Helps those candidates looking for jobs. Classified section of various newspapers offers great listings on jobs in UAE, now after applying for the jobs; it’s time to prepare for job interviews. Be active on LinkedIn and upload your resume in the summary section so that employers can go through your resume. Large companies including aviation firms, hospitality companies have a fully functional career portal within their website where you can apply; this is like more of direct recruitment than going through third party. You can also email the HR department with the job ID to ask for current openings. Wastage of time is not going to add anything to your CV rather than opt for some professional course or certificate program to utilise the best of time. Some hidden sources to apply for jobs in UAE. First of all download list of companies in UAE with phone numbers and email ID and then start applying. Hiring of civil, mechanical and electrical engineers foremen, draftsmen and crane operators dominates the lists of in-demand jobs. Sales executive and in-store sales ladies are also highly searched jobs. The state offers enormous benefits and opportunities for job seekers, irrespective of the country from which they hail be it their own country nationals or an emigrants they have something for everyone who are looking for jobs in UAE giving fair chance to every single person. Author bio: A writer by profession, Neelam Gupta is currently focusing her writing on the extensive domain of employment. She has written various articles, news stories and blog posts on job search and hiring. 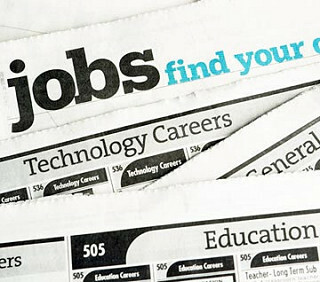 The above article is a compilation of facts and discusses job search on the internet. Click here and know current jobs in UAE. Next : How Does The Application Process Work With Beacon Resources?